Chesterfield Lady Captain, Barbara Sims has set herself a challenge for 2019. Her aim is to visit every club in Derbyshire on her bike. This is one part of her charity raising ideas for the year on behalf of the NSPCC. 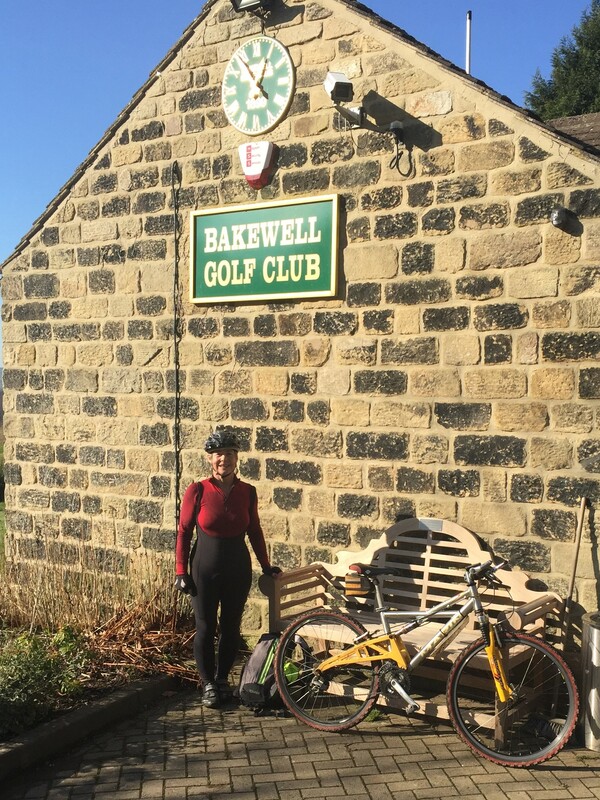 Don't be surprised if Barbara (pictured here at Bakewell GC) turns up at your club soon clad all in lycra! Her furthest trip is to Burton GC whilst cycling to New Mills and Glossop will involve the Snake Pass. She is appreciative of any support.